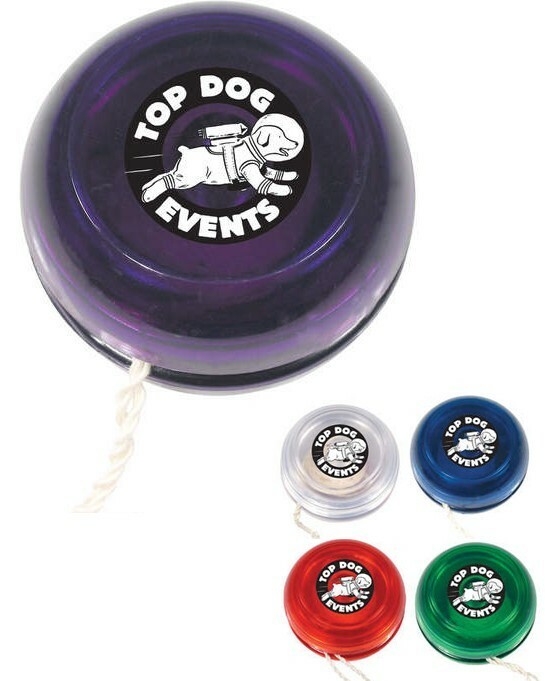 Custom translucent color Yo-Yos comes in a wide variety of jewel-tone colors. Includes natural fiber trick string. Made in USA. Production Time 6 work days. Express shipping options available at check out. Production times are usually firm, but may vary depending on production schedules.